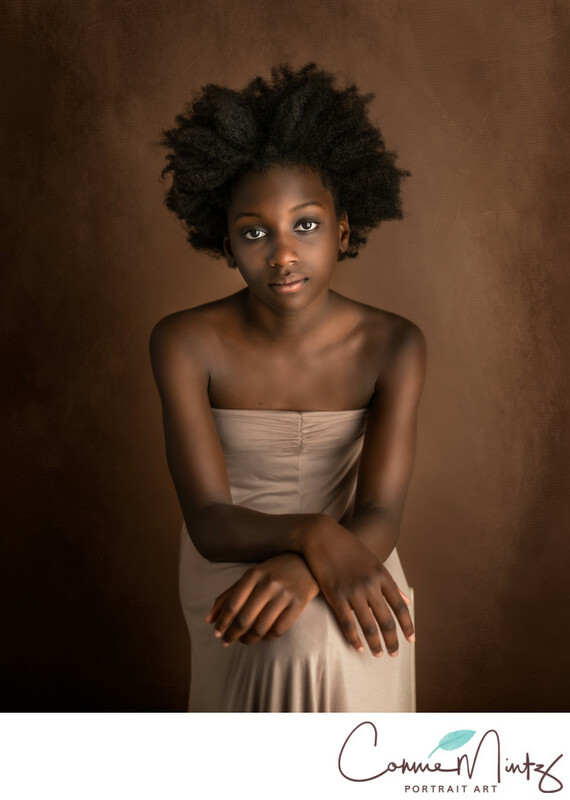 Nellie sat using natural light with warm earth tones. Keywords: black (6), brown (9), children (27), fine art (21), girl (36), green (9), studio (75). 1/320; f/2.8; ISO 400; 50.0 mm.